Chop up your favorite fruit into small pieces, or mash it with a fork. Place chopped up fruit into ice cube tray. 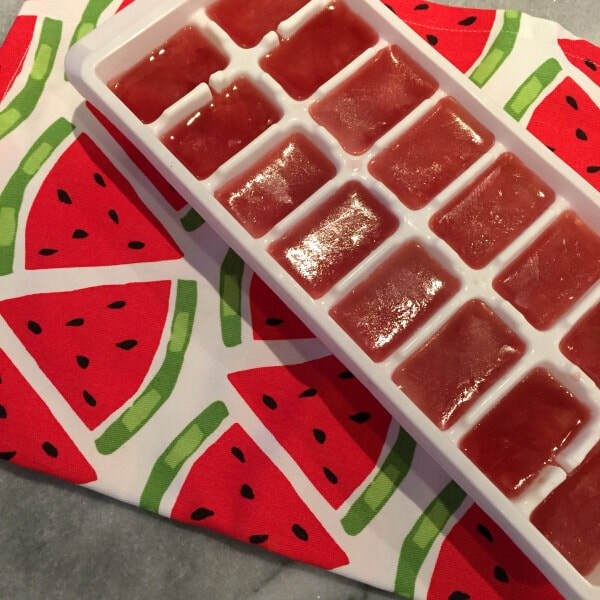 Carefully add water over the fruit (enough to fill the cube) and freeze. Add to water or seltzer!